The past year has been kind to Timberhaus Developments. We celebrated the sale of the Tall Timbers, two custom homes in North Glenora, featuring functional, modern layouts and high quality design. We completed two projects in Bonnie Doon called The Two Sisters. These homes, now on the market, offer a multitude of draws, from the live-edge countertops in the bathrooms, to vaulted ceilings and feature walls unique to each home. We ventured to Devon to build a customer’s dream home, and take in the charm of their town, experiencing the river valley from a whole new vantage point. We fostered strong partnerships with the Edmonton Garden Suite community, speaking at seminars, and hosting tours of our sites. We also worked hard, made new friends, and shared a lot of laughs — along with, wine and charcuterie. If you haven’t made it to one of our open houses, you’ve been missing out! 2019 is slated to be breaming with excitement. 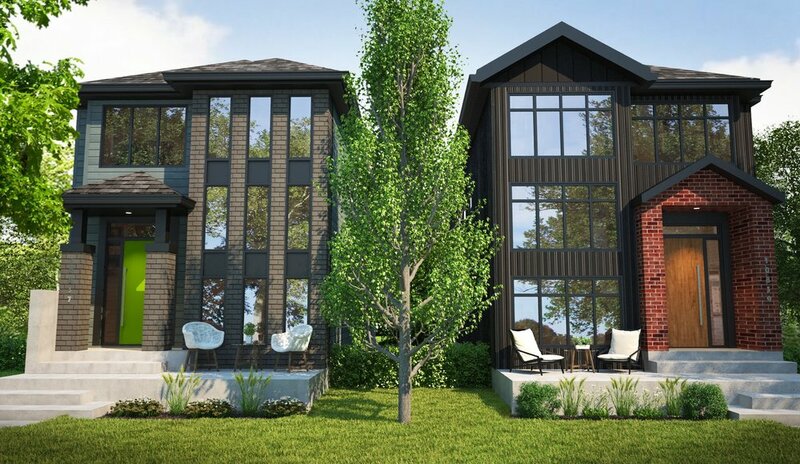 We have two projects ready to break ground beside The Tall Timbers in North Glenora, and two more a few blocks North, that are currently in the design phase. All four of these homes are available for those eager to customize their home buying experience. Signing onto a project early allows the buyer to put their own stamp on a project, infusing their aesthetic and personality in each room. The two homes currently being designed will be affordably priced and offer the incentive of legal basement suites. As advocates for urban living, we believe in creating a diversity of residential spaces for our community, creating practical dwellings that also add to a family’s monthly income. On the garden suite front, we have five developments in the making, and are eager to answer any questions or curiosities you may have! These suites span Strathcona to Rosenthal, proving garden suites are advantageous wherever you are. Beyond our spec homes, we have a number of commissioned developments in varying stages. We are so excited be working with families and individuals eager to achieve their ultimate vision. Crafting homes that bridge natural elements and thoughtful design with a client’s dream, makes every day on the job worth it. Check back for regular updates, insights and photos of new developments.